In the Lylat System there are new spacecrafts! Omega from Smash U, with same collisions, camera boundaries and spawnpoints straight from smash u, included there's also a competitive alt using the same platforms from the default stage. What? You didn't expect Corn- the Great Fox taking a wal- flight? Then come to do some smashing! It has to go over Lylat Cruise, but Lylat can't be ported so you're stuck. It's not a Corneria 1:1. 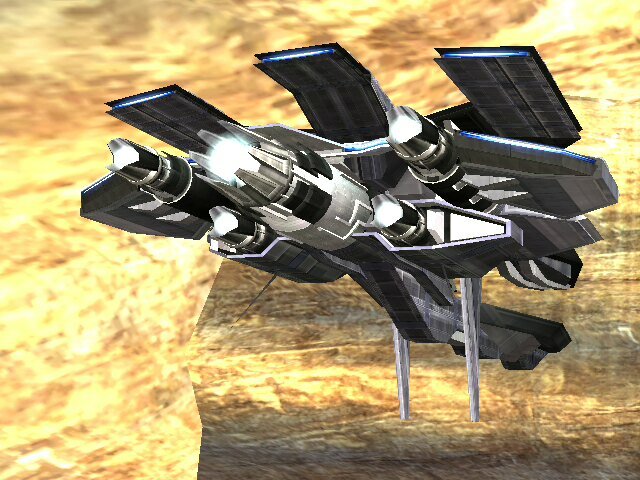 Before you say, the Pleiades is the actual spaceship you fight on, not Lylat, Lylat is the system. The Pleiades got some paint! Includes static and spin version like in PM. 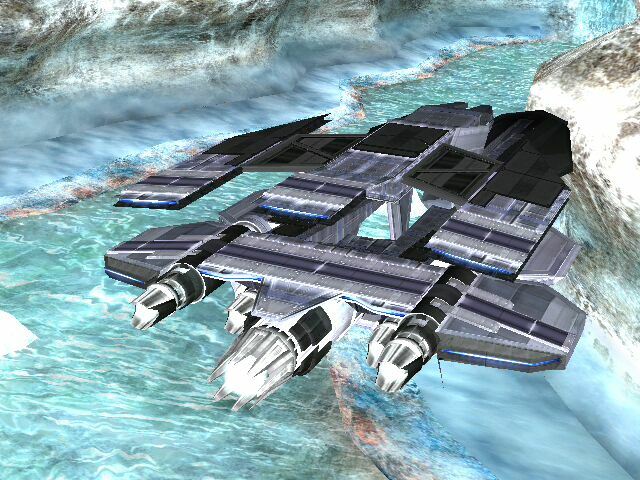 Is a 1:1 of vPM Lylat Cruise as it's only a reskin. 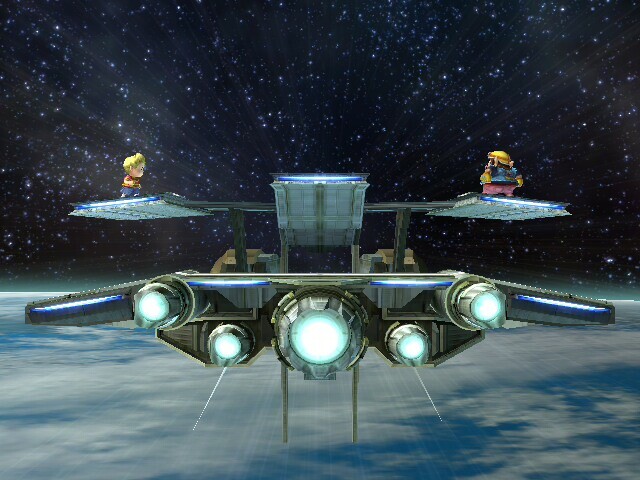 This stage is intended to be an alternate stage for Lylat Cruise that is a 1:1 mirror of Yoshi's Story. Because the alternate slots for Lylat Cruise are so small you can't add many details so a lot was optimized for this stage port. Images in the banner. From 2D To 3D Suzaku Castle At Night From Street Fighter II I Used DSX8 Smash 3DS Version And Turned It To Night. Lylat Cruise is back!. Theres two versions, one with regular brawl lylat system textures, and one with 64/melee lylat system, so pick your favorite. I used Corneria's great fox model and put it on here, used some textures from the internet and Sector Z by Mewtwo2000 and used Calm Lylat Cruise by Syvkal and SuperGuzzi to make this. Notes: The fire isnt animated and i dont know why, but you barely even notice it while fighting, and you (might) fall through the floor at the beginning of the match (only happened to me once). visit Chuy's page for awesome content! Hey Pals....Long time no see....! I really wanted to play Lylat Cruise but with less going on in the background. I was lazy and took SuperGuzzi's "Final Space" level and imported Lylat Cruise's ship into it instead. I included a .rel to use if you're replacing Lylat Cruise. 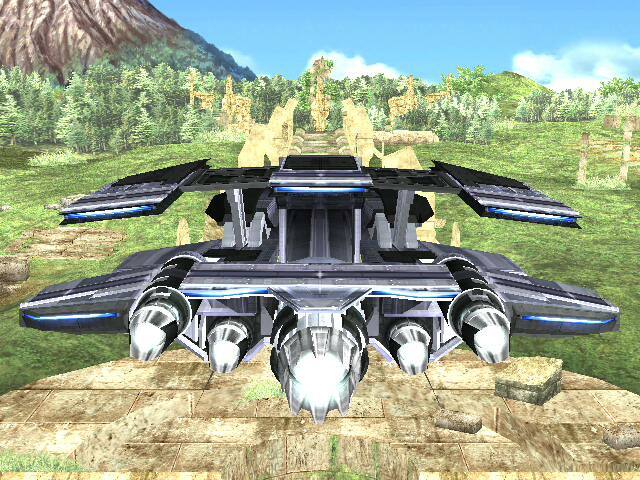 If you do replace Lylat Cruise, then you can also remove 'STGSTARFOX_ASTEROID', 'STGSTARFOX_BATTLESHIP', 'STGSTARFOX_CORNERIA' and 'STGSTARFOX_SPACE' if you want. They are not needed for this mod. Lylat Cruise, without the tilting! The stage will stay perfectly still the whole match. Besides that, I also altered the collisions under the ledges so you don't annoyingly get caught under them (Pic 2). Works perfectly on NTSC-U version! Don't report! Just a texture recolor of innocentroad's SSE Lylat. Vectorman's space ship. 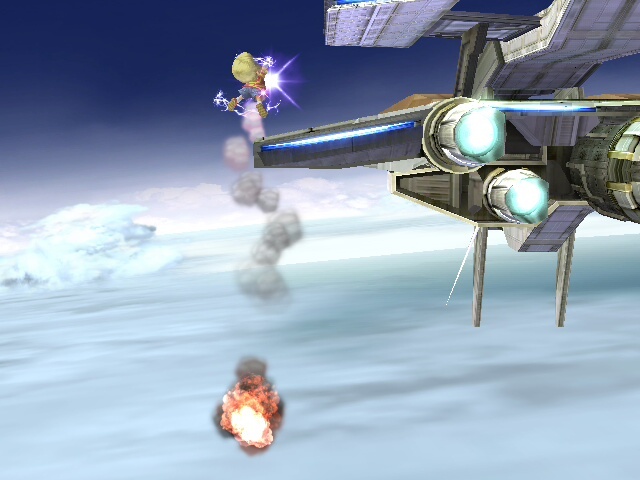 It is a texture of Melee Corneria but with Lylat space in the background. The words "Sludge Barge", "Wasteport", and "#12" look messed up in Brawl Box but not in the game. I have no camera so I couldn't take an in game picture. Brstms soon to come. 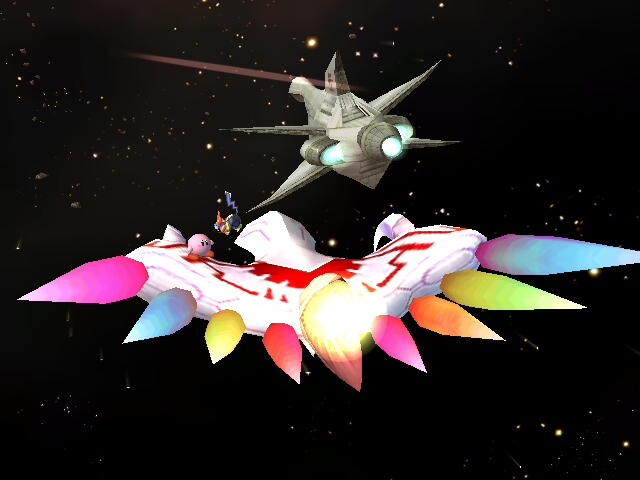 Well there's only one or two Lylat Cruise textures here, so why not make another new one? All I did here was a recolour and overlayed some more details here, so yeah. I based it off, once again, the texture from Super Mario Galaxy, so you'll be seeing off some Mario-based images on the background. The sky and earth part when Lylat flies over above it remains unchanged because I didn't like the merged background and clashing. Only the sky is changed by making it red. This stage was pretty tough and annoying to texturize. The background is unfamiliar unlike Final Destination, because the background is merged and stretched into one instead of repeating the background. Just to show my support for this wonderful project, I thought I'd post this. Edit: Someone reported this for freezing, but I've never had an issue with it, so I think they're on crack. Again, I've NEVER had a problem with this texture, and NOBODY reported it to me before I posted it on Brawl Vault, so I'll say this: It's probably another one of your textures. And I just realized, people who have a problem with it probably don't have the latest texture code or live out of the US. Kthx. 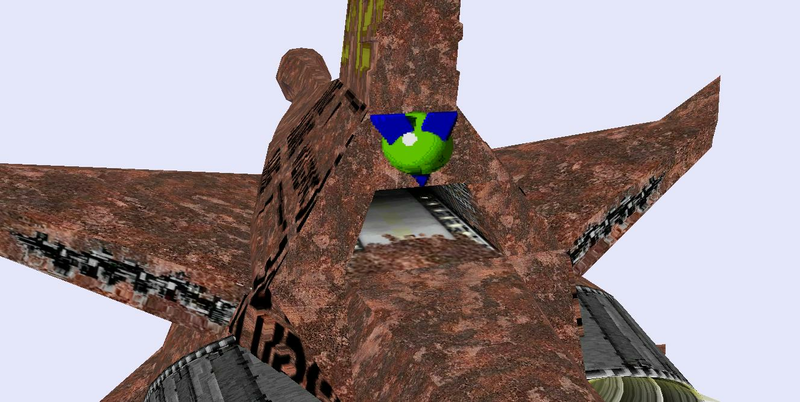 A stage Alexjol tried to make, but he had some texture and placing problems. I just fixed textures and placed the Dragoon properly (and animated fire). Page created in 0.98 seconds with 111 queries.